When Reggie Rockstone announced a couple of months ago that he was joining VIP, many were those who thought it was a joke because they could not believe that the Grandpapa of Hiplife would do a thing like that. Showbiz can confirm today that indeed, Reggie is a member of VIP. Last Monday he told Showbiz that the trio will now be known as VVIP. “It all began when I posted on Twitter that I was joining VIP. That simple message drew a lot of attention but the truth is that I have always wanted to be a member of VIP. As to people’s perception that he is too old or too big to come to the level of VIP, Reggie said that was neither here nor there because people still rap and sing regardless of their age, mentioning Jay Z as an example. Asked if he was going to be the leader of VVIP, Reggie said, “Originally, I think Lazzy (now called Zeal) was the leader but the chemistry of working together is so tight that there is no leader but my age and experience in African terms makes it easier for them to listen to me. 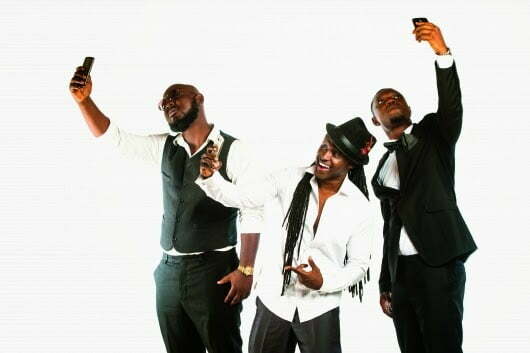 Reggie revealed that their first single, Selfie will be released tomorrow Friday which happens to be his birthday. “Today is Efya’s birthday and tomorrow is my birthday so there is going to be a big party at Rockstone’s Office, Django Bar to celebrate our birthdays. Throwing more light on Selfie, Reggie said it is a very danceable song and everyone will love it. “Another single will follow soon but I will keep the title of that one a secret for now,” he said. “It was produced by DJ Breezy who comes from D-Black’s camp. “We are on a mature level now, call it senior citizens,” he said with a smile. Incidentally all three VVIP have had baby girls within the last one year. Lazzy’s ( now Zeal) is Jara; Prodigal’s is Nana; and Reggie’s is Rehji.